Charli XCX has written new material with Noonie Bao and Sarah Hudson. Bao – real name Jonnali Parmenius – recently co-wrote “Run Away With Me” for Carly Rae Jepsen along with Oscar Holter, Karl “Shellback” Schuster, Robin Fredriksson, and Mattias Larsson. Meanwhile, Hudson is known for co-penning Katy Perry’s “Dark Horse” along with Max Martin, Lukasz “Dr. Luke” Gottwald, and Henry “Cirkut” Walter. The track peaked to number one on the US Billboard Hot 100 Singles Chart. Other notable credits by Hudson include Iggy Azalea’s “Black Widow” f/ Rita Ora [Island Records], Nicki Minaj’s “Get on Your Knees” f/ Ariana Grande [Republic Records] and Ferras’ “Speak in Tongues” [Capitol Records]. XCX – born Charlotte Aitchison – is expected to release her third studio collection in 2016 through Neon Gold Records and Atlantic Records. Watch the music video for “Doing It” below. Charli XCX has unveiled the music video for her new single online. The British singer/songwriter posted the Eric Wareheim-directed clip for “Famous” to her official YouTube channel on Monday (March 23, 2015). “Famous” was co-written and produced by Greg Kurstin, who is also responsible for Kelly Clarkson’s “Heartbeat Song” [RCA Records], Sia’s “Elastic Heart” [RCA Records] and Laura Welsh’s “Ghosts” [Polydor Records]. The track appears on XCX’s sophomore album, “Sucker,” now available via iTunes in partnership with Neon Gold Records and Atlantic Records. On the songwriting front, XCX – real name Charlotte Aitchison – has confirmed placements on the next projects by Rihanna [SRP Records], Gwen Stefani [Mad Love Records] and Rita Ora [Columbia Records]. Her previous credits include Icona Pop’s “I Love It” [Big Beat Records], Neon Gold’s “So Alive” [RCA Records], Iggy Azalea’s “Beg for It” [Def Jam Recordings] and Ryn Weaver’s “OctaHate” [Interscope Records]. Watch the music video for “Famous” below. Charli XCX has confirmed the title for her new single. 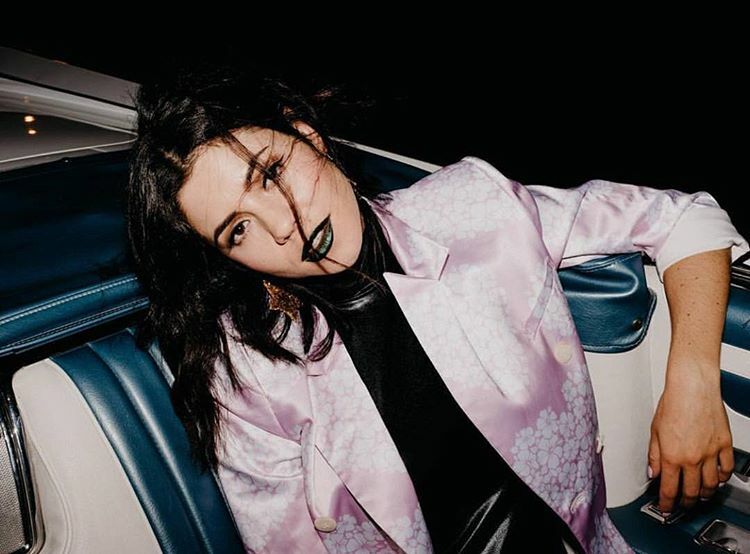 The British singer/songwriter christened “Famous” as the next promotional cut from her sophomore album, “Sucker,” now available for download via iTunes in partnership with Neon Gold Records and Atlantic Records. “Famous” was written by XCX along with the song’s producer Greg Kurstin, whose other credits include Kelly Clarkson’s “Heartbeat Song” [RCA Records] and Lily Allen’s “Hard Out Here” [Parlophone Records]. The track serves as the follow-up to previous promotional cut, the Rita Ora-assisted “Doing It,” which peaked to number 8 on the UK Singles Chart. 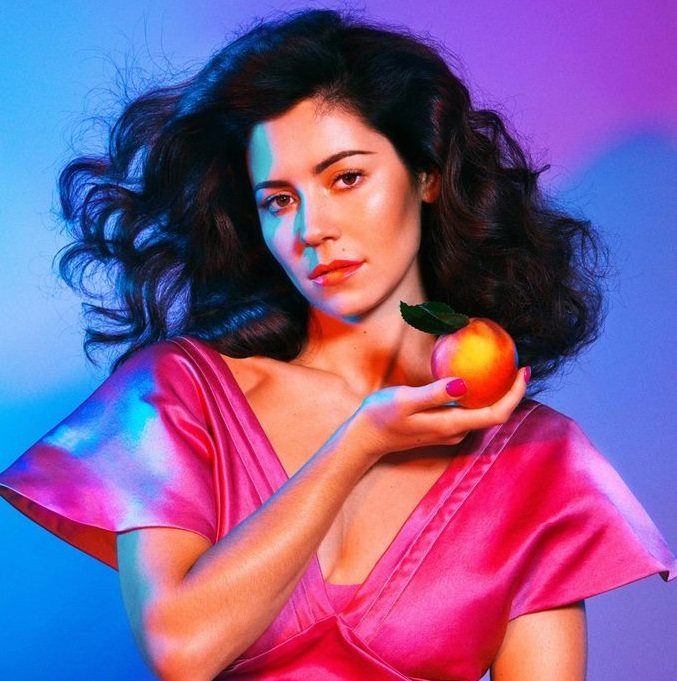 “Sucker” boasts further collaborations with Jarrad Rogers (Ella Eyre, Becky Hill), Ariel Rechtshaid (Madonna, Carly Rae Jepsen), Benny Blanco (Miguel, Jessie Ware) and Cashmere Cat (Kanye West, Ariana Grande). The British singer/songwriter posted the BRTHR-directed clip for “Breaking Up” to her official YouTube page on Tuesday (2nd December, 2014). “Breaking Up” was written by XCX – born Charlotte Aitchison – along with Patrik Berger, Markus Krunegard and Noonie Bao. The track follows previous promotional cut, “Break the Rules,” which is now available for download via iTunes and all other digital outlets. Charli’s highly-anticipated new studio collection “Sucker” will be released on December 16 via Neon Gold Records and Atlantic Records. Other album contributors include Stargate (Usher, Christina Milian), Benny Blanco (Miguel, Jessie Ware), Cashmere Cat (Tinashe, Ariana Grande), Jarrad Rogers (Becky Hill, Ella Eyre) and Ariel Rechtshaid (Madonna, Kylie Minogue). Meanwhile, fans of the “Boom Clap” star’s songwriting should keep an eye on the next projects by Gwen Stefani [Mad Love / Interscope Records], Sky Ferreira [Capitol Records] and Rihanna [Roc Nation Records]. Watch the music video for “Breaking Up” below.